Outkast (stylized as OutKast) is an American hip hop duo formed in 1991, in East Point, Atlanta, Georgia, composed of Atlanta-based rappers André "André 3000" Benjamin (formerly known as Dré) and Antwan "Big Boi" Patton. The duo achieved both critical acclaim and commercial success in the 1990s and early 2000s, helping to popularize Southern hip hop while developing distinctive personas and experimenting with diverse genres such as funk, psychedelia, techno, and gospel. Benjamin and Patton formed the group as high school students in 1991. OutKast released their debut album Southernplayalisticadillacmuzik in 1994, which gained popularity after the single "Player's Ball" reached number one on the Billboard Hot Rap Tracks chart. With successive releases including ATLiens (1996) and Aquemini (1998), the duo further developed their sound, experimenting with a variety of styles and achieving commercial success. In 2000, Outkast released the critically acclaimed Stankonia, which included the singles "Ms. Jackson" and "B.O.B." In 2003, the duo released the double album Speakerboxxx/The Love Below, which featured the number one singles "Hey Ya!" and "The Way You Move." The album would eventually win the Grammy Award for Album of the Year and was certified Diamond by the Recording Industry Association of America. Outkast next released the soundtrack for the 2006 musical film Idlewild, which they also starred in. In 2007, the duo went on hiatus and both members have since pursued solo careers. In 2014, Outkast reunited to celebrate their 20th anniversary by performing at more than 40 festivals worldwide in 2014, beginning at the Coachella Festival in April. The duo is one of the most successful hip-hop groups of all time, having received six Grammy Awards. Between six studio albums and a greatest hits release, Outkast has sold over 25 million records. Meanwhile, they have garnered widespread critical acclaim, with publications such as Rolling Stone and Pitchfork Media listing albums such as Aquemini and Stankonia among the best of their era. 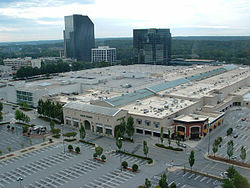 Benjamin and Patton met in 1991 at the Lenox Square shopping mall when they were both sixteen years old. The two lived in the East Point section of Atlanta and attended Tri-Cities High School, an arts based academy. During school, Benjamin and Patton participated in rap battles in the cafeteria. Benjamin's parents were divorced and he was living with his father. Meanwhile, Patton had to move with his four brothers and six sisters from Savannah to Atlanta. Benjamin and Patton eventually teamed up and were pursued by Organized Noize, a group of local producers who would later make hits for TLC. The duo initially wanted to be called "2 Shades Deep" or "The Misfits", but because those names were already taken they later decided to use "OutKast" based on finding "outcast" as synonym for "misfit" in a dictionary. OutKast, Organized Noize, and schoolmates Goodie Mob formed the nucleus of the Dungeon Family organization. OutKast signed to L.A. And Babyface imprint prior to graduation which would later become LaFace Records in 1992, becoming the label's first hip hop act and making their first appearance on the remix of labelmate TLC's "What About Your Friends". During the holiday season of 1993, they released their first single, "Player's Ball". The song's funky style, much of it accomplished with live instrumentation, was a hit with audiences. "Player's Ball" hit number-one on the Billboard Hot Rap Tracks chart. 'Player's Ball' also topped the R&B charts for six weeks. Their debut album, Southernplayalisticadillacmuzik, was issued on April 26, 1994. This initial effort is credited with laying the foundation for southern hip hop and is considered a classic by many. Every track on Southernplayalisticadillacmuzik was produced by Organized Noize and featured other members of the Dungeon Family. Follow-up singles included the title track and "Git Up Git Out", a politically charged collaboration with Goodie Mob that was later sampled by Macy Gray for her 1999 hit "Do Something." On this early material, both André and Big Boi contrast lyrical content reflecting the lifestyles of pimps and gangsters with politically conscious material commenting on the status of African Americans in the South. OutKast won Best New Rap Group at the Source Awards in 1995. In the same year, the group contributed "Benz or a Beamer" to the popular New Jersey Drive soundtrack. After Southernplayalisticadillacmuzik was certified platinum, LaFace Records gave OutKast more creative control and advanced money for their 1996 follow-up album ATLiens. The duo took the opportunity to recreate their image. On a trip to Jamaica with producer Mr. DJ, the two decided to abandon their cornrow hairstyles in favor of a more natural aesthetic, vowing to stop combing their hair. Dungeon Family member Big Rube observed an increase in the duo's confidence after returning from their first tour, remarking, "They started understanding the power they had in their music. They started showing a swagger that certain artists have—the ones that are stars." The two also became more accustomed to playing live, particularly Big Boi, and André 3000 significantly changed his lifestyle, as he adopted a more eccentric fashion sense, became a vegetarian, and stopped smoking marijuana. The members also underwent changes in their personal lives; in 1995, Big Boi's girlfriend gave birth to their first child and André 3000 and Total's Keisha Spivey ended their two-year relationship. The double platinum album, ATLiens, was released on August 27, 1996. The album exhibited a notably more laid-back, spacey production sound, taking influence from dub and reggae. On ATLiens, André 3000 and Big Boi abandoned the "hard-partying playa characters" of their debut album in favor of more spacey, futuristic personas, and produced many of the songs on their own for the first time. Their tracks have an outer-space feeling to them- a feeling that, ironically, has warmed the community right up to them. Critics praised the group's maturing musical style on the record, which debuted at number two on the U.S. The album would climb to number three on Billboard's top R&B/Hip Hop chart.Billboard 200 chart and sold nearly 350,000 copies in its first two weeks of release. The single "Elevators (Me & You)" reached number 12 and spent 20 weeks on the Billboard Hot 100 chart. ATLiens further solidified OutKast as the flagship representatives of the 1st generation Dungeon Family and the Southern hip hop movement. The album helped the group earn more recognition among East Coast hip hop fans in the East and West coasts. For this album, OutKast joined with partner David "Mr. DJ" Sheats to form the Earthtone III production company, which allowed the group to produce some of their own tracks. "ATLiens" was the group's second Top 40 single (following "Player's Ball" from their first album), and reflected the beginning of André's increasingly sober lifestyle: "No drugs or alcohol/so I can get the signal clear," he rhymes about himself in the single "ATLiens". OutKast's third album Aquemini was released on September 29, 1998, It was also certified double platinum and reached the number-two position on the Billboard 200 album chart in the United States; its title was a combination of the zodiac signs of Big Boi (an Aquarius) and André (a Gemini). Producing more material themselves, both Big Boi and André explored more eclectic subject matter, delving into sounds inspired by soul, trip hop, and electro music. The album featured production by Organized Noize and collaborations with Raekwon, Slick Rick, funk pioneer and musical forebear George Clinton, and Goodie Mob. Outkast forged the connections between Hip Hop and the black freedom struggle with their controversial song "Rosa Parks" featured on the album. Originally titled 'Sandbox', the pair's fourth album, Stankonia was released in October 2000 to positive reviews. The album was seen as a change in the group's musical style, as it had a more commercial and mainstream appeal, compared to their previous three albums which were darker and deeper. It debuted at number two on the Billboard 200 in the U.S., and would eventually be certified quadruple-platinum. Stankonia's first single was "B.O.B. (Bombs Over Baghdad)", a high-tempo-influenced record. The second single, "Ms. Jackson", combined a pop hook with lyrics about divorce and relationship breakups, particularly André's breakup with singer Erykah Badu; the titular "Ms. Jackson" character being a doppelgänger for Badu's mother. It was at this time that André changed his stage name to the current "André 3000," mostly to avoid being mixed up with Dr. Dre. Pitchfork named Stankonia the 4th greatest album released between 2000 and 2004 in its 2005 feature. Later on the webzine selected Stankonia as the 13th best album of the 2000s. And B.O.B. was chosen number one song of the decade by this same webzine. In December 2001, OutKast released a greatest hits album, Big Boi and Dre Present...OutKast, which also contained three new tracks. One of these new tracks was the single "The Whole World", which won a 2002 Grammy Award for Best Rap Performance by a Duo or Group. Killer Mike also was featured on the song, gaining some exposure among areas outside of his native Atlanta. The other two new songs were called "Funkin' Around" and "Movin' Cool (The After Party)". OutKast spent 2 years working on their 5th effort, before releasing a double album, Speakerboxxx/The Love Below, on September 23, 2003. It is essentially two solo albums, one by each member, packaged as a single release under the OutKast banner; the two members also appear and co produce on each other's discs for a few songs apiece. Big Boi's Speakerboxxx is largely a funk and Dirty South blended party record; André 3000's The Love Below features only brief instances of hip hop, presenting instead elements found in funk, jazz, rock, electronic music, and R&B. The first two singles from the album(s), which were released nearly simultaneously, were Big Boi's "The Way You Move" and Andre 3000's "Hey Ya!" The video's storyline has "The Love Below"—a fictional band with all members, through the use of special effects, played by André—performing in London. "Hey Ya!" was the number one song on the very final weekend of American Top 40 with Casey Kasem. It was also number one a week later on the very first weekend of American Top 40 with Ryan Seacrest. The singles spent ten weeks at number one on the Hot 100 singles chart, with "Hey Ya!" spending nine weeks and "The Way You Move" taking over for one week in February 2004. These singles were seen as a breakthrough for the hip-hop industry, being among the first hip-hop songs to be widely played on adult contemporary radio stations. OutKast's next official single was not released until the summer of 2004. "Roses", a track featuring both members from The Love Below half of the album, did not meet the level of success as either of its predecessors, but it became a modest-sized hit on urban radio and the American music video networks. The video for "Roses" is loosely based on the musicals West Side Story and Grease. It featured sparring 1950s' style gangs, one representing Speakerboxxx, and one representing The Love Below, parodying the widespread arguing among critics and fans as to which half of the album was better. The final singles were André 3000's "Prototype", which was paired with a science fiction-themed video about alien visitors, and Speakerboxxx's "Ghettomusick", which featured both members of OutKast and a sample from a song by Patti LaBelle, who also makes an appearance in the video. Speakerboxxx/The Love Below won the Grammy Award for the 2004 Album of the Year (The Miseducation of Lauryn Hill by Lauryn Hill won best album in 1999 but was predominantly an R&B album). OutKast was one of the headlining acts at the show, and gave two performances: Big Boi performed "The Way You Move" with the Outkast backing band during a medley with Earth Wind & Fire, George Clinton and Robert Randolph, while André 3000 performed "Hey Ya!" as the show closer after they had been presented with the Album Of The Year Award. Members also began working on a joint film, Idlewild, directed by OutKast music video director Bryan Barber. Idlewild, a Prohibition-era musical film set to a blues-influenced hip-hop soundtrack, was released on August 25, 2006 by Universal Pictures. The Idlewild soundtrack was released August 22, 2006. In an interview for Billboard, Big Boi stated "This is an OutKast album. It isn't like a soundtrack where we go get this person or that person". Originally planned for early 2005, Idlewild's release date was pushed to December 2005, before being delayed into 2006. The album debuted at number two on the US Billboard 200 chart with first-week sales of 196,000 copies. It also entered at number one on Billboard's Top R&B/Hip-Hop Albums, at number one on the Top Rap Albums, and at number two on the Top Digital Albums chart. The album dropped to number seven on the Billboard 200, selling 78,000 copies in its second week. It spent nine weeks on the Billboard 200. In the United Kingdom, Idlewild debuted at number 16 on the UK Albums Chart. It fell to number 28 in its second week on the chart. While it charted within the top-twenty in several other countries, the album spent a minimal amount of weeks on most charts. On August 26, 2006, the album was certified platinum in sales by the Recording Industry Association of America, following shipments in excess of one million copies in the United States. It was certified gold in sales by the Canadian Recording Industry Association in November 2006. The first single of the album, "Mighty 'O'", features both André 3000 and Big Boi; the song takes its lyrical hook from the Cab Calloway song "Minnie the Moocher" ("Mighty-ighty-ighty O") and seems to be an example of the album's mix of hip hop and more traditional American jazz and blues. Next, similar to previous OutKast albums such as Speakerboxxx/The Love Below, two singles—one solely by Big Boi, the other solely by André 3000—were released simultaneously. The second single, almost exclusively featuring Big Boi, is the marching band–influenced "Morris Brown", featuring guest artists Sleepy Brown and Scar, both artists on Big Boi's Purple Ribbon label. The song's title is a reference to Atlanta's Morris Brown College, with the school's marching band providing the instrumentation. The third single, André 3000's "Idlewild Blue (Don'tchu Worry 'Bout Me)" delves into the blues genre, complete with a blues-style acoustic guitar riff and a harmonica element reminiscent of Aquemini single "Rosa Parks". In tune with the film, Idlewild reflects OutKast's original style tempered by 1930s influences. The fourth single, "Hollywood Divorce" was released in November 2006, and features verses from Lil' Wayne and Snoop Dogg and is produced by André 3000. In 2007 after the sixth album under the OutKast name, Idlewild, Big Boi announced plans to release a full-fledged solo album. While he had released a previous solo album in Speakerboxxx, it still was technically under the OutKast name. The album was to be titled Sir Lucious Left Foot: The Son of Chico Dusty. The album's first promotional single, "Royal Flush", was released in 2007, and featured Raekwon and André 3000. After many delays and setbacks, the album was finally released internationally on July 5, 2010. Guest artists include singer Janelle Monáe; Big Boi's own new group Vonnegutt; plus established rappers T.I. and B.o.B. Sir Lucious Left Foot: The Son of Chico Dusty received general acclaim from most music critics, earning praise for its inventive sound, varied musical style, and Big Boi's lyricism. In a July 2010 interview for The Village Voice, Big Boi revealed that he is working on the follow-up album to Sir Lucious Left Foot, entitled Daddy Fat Sax: Soul Funk Crusader, stating that he is "maybe about six songs into it". He is "planning on doing a bunch of sax samples, tenor, soprano, and probably have at least a couple sax players come into the studio for the next record". André 3000 returned to rapping in 2007, after a hiatus from the genre, appearing on various remixes, including: "Walk It Out", "Throw Some D's", "You", Jay-Z's "30 Something", and original songs such as UGK's "International Players Anthem", Devin the Dude's "What A Job", Fonzworth Bentley's "Everybody", and with Big Boi "Royal Flush" and the leaked single "Lookin For Ya". He also appeared on John Legend's album, Evolver, on the track "Green Light", which was released on October 28, 2008. Prior to the release, Benjamin commented: "It's going to be a surprise for a lot of John Legend fans, because it is a lot more upbeat than John is—than people think John is. I was actually happy to hear it. This is a cool John Legend song." Benjamin has stated that he is making a solo rap album, and that the response to his remixes is part of the motivation for it. In September 2011 it was announced that OutKast was moved to Epic Records following restructuring within Sony Music Entertainment. Epic Records is headed by LA Reid who has worked with Outkast in the past. In 2012, Andre 3000 was cast to play Jimi Hendrix in a biopic film titled, Jimi: All Is By My Side, which was later released on September 26, 2014. In late 2013, it was reported that Outkast would reunite at the Coachella Valley Music and Arts Festival in 2014. This was later confirmed on January 8, 2014, when it was officially announced that the duo would headline the festival on April 11 and 18. It was later announced on January 13, 2014 that Outkast would be performing at more than 40 festivals around the world throughout the spring and summer of 2014 to celebrate their 20th anniversary, including one of the largest festivals in the UK, Bestival. Despite rumors, Big Boi has insisted that the duo are not currently working on a new album together. Outkast returned to Atlanta for their #ATLast homecoming shows over the weekend of September 26, 2014, selling out within minutes of tickets going on sale. The shows had a large variety of openers, ranging from R&B singer Janelle Monáe and rapper/rock artist Kid Cudi to rappers 2 Chainz, Future, Bun B, and Childish Gambino. Outkast's Dungeon Family associates Sleepy Brown and Big Gipp also appeared onstage with the duo, rapping and singing on their respective songs. At Atlanta's One MusicFest, the Dungeon Family, Goodie Mob, Organized Noise, Killer Mike, and Outkast appeared performing their rap hits. Outkast's musical style and lyrical content have evolved throughout the group's career. Rolling Stone described their music as "idiosyncratic" and "inspired by the Afrocentric psychedelics of George Clinton and Sly Stone." The band's debut album Southernplayalisticadillacmuzik incorporates analog elements such as Southern-styled guitar licks, languid soul melodies, and mellow 1970s funk grooves. It also features digital hip hop production elements such as programmed snare beats, booty bass elements, ATLiens and Aquemini feature outer space-influenced production with echo and reverb effects. With Stankonia, OutKast became the first hip-hop act to openly acknowledge rave culture as an influence. Stankonia and Speakerboxxx/The Love Below would draw on sources such as psychedelia, gospel, funk, techno, soul, electro, and rock music. During the late 1990s, rappers tended to embrace slow, laid-back beats in their productions. On several tracks on Stankonia, the group employed faster, more chaotic tempos to reflect rave culture and the introduction of new drugs such as ecstasy into the hip-hop scene. One central motif of OutKast's songwriting is the duality of the two members and their differing personalities, with Big Boi as "the player" and Andre 3000 as "the poet". Big Boi generally covers the more conventional hip-hop topics such as his childhood in the South and attractive women, while Andre 3000 discusses more unorthodox themes. In contrast to much of hip hop music in the late 1990s, OutKast did not tone down its Southern regional qualities, like the harmonica break on "Rosa Parks" and distinctive Atlanta slang and diction throughout. The duo experimented with several delivery styles on the record, using "relaxed, hyper, distorted, speedy and conversational presentations." OutKast often discusses the status of women in the South, and contrasts with the misogynistic attitudes common in hip-hop music. In Slate, Alex Abramovich praised the duo for "to shy away from the misogyny and violence rap is so often (and not always unjustly) condemned for." In his book Classic Material: The Hip-Hop Album Guide, Oliver Wang writes that songs such as "Slum Beautiful" and "Toilet Tisha" "reimagine 'round the way girls, not only as just more than one-dimensional accessories, but as objects of affection with lives and concerns that are worth exploring." In 2002, OutKast participated in the only Dungeon Family group album, Even in Darkness, along with Goodie Mob, Killer Mike, Sleepy Brown, Witchdoctor, and Backbone among others, and featuring Bubba Sparxxx, Shuga Luv and Mello. In 2002, the group and Killer Mike contributed the lead single "Land of a Million Drums" to the Scooby-Doo soundtrack. On February 27, 2011, it was announced that Big Boi is creating a joint album along with Killer Mike and fellow Atlanta rapper Pill. Later that day, Big Boi posted on his Twitter account that he was mixing Killer Mike's album entitled, PL3DGE. In 2010, Andre 3000 was featured on Ciara's remix for her hit single "Ride", from the album Basic Instinct. On January 14, 2011, a song with Ke$ha called "The Sleazy Remix" was leaked. On June 7, 2011, Beyoncé's song "Party" was leaked, it features Benjamin, it is his first collaboration with the singer. It is also featured on Beyoncé's fourth studio album entitled 4 released June 24, 2011. On August 24, 2011, Lil Wayne's album Tha Carter IV leaked, featuring a song entitled "Interlude" with Benjamin and fellow rapper Tech N9ne performing. Also in 2011 Andre featured on Chris Browns "Deuces" remix as well as on a Lloyd song, "Dedication To My Ex (Miss That)", with Lil Wayne. In 2012 Andre also appeared on Drake's second album Take Care, on the song "The Real Her" which also featured Lil Wayne. In 2012 Andre 3000 featured on Gorillaz "DoYaThing" with James Murphy of LCD Soundsystem. The song was released as a free download in February that year as part of a Converse promotion. Andre 3000 was featured on Frank Ocean's 2012 album Channel Orange on the song "Pink Matter". 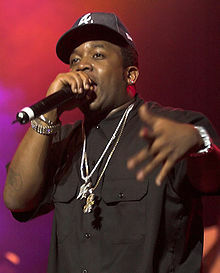 On January 11, 2013, Big Boi appeared on a remix of the song, adding a verse before Andre's. In response to the added verse, Andre issued a statement on January 15 insisting that the track did not constitute an OutKast reunion. Phantogram revealed in an interview with Variance Magazine in February 2014 that they plan to release an EP with Big Boi. Benjamin has made appearances in Families, The Shield (he plays Robert Huggins, a character that originated in an episode titled "On Tilt" from Season 3 in 2004), Be Cool, Revolver, Semi Pro, and Four Brothers. He was also cast as Percival in Idlewild, released on August 26, 2006. He voiced a crow in Charlotte's Web, a movie adaptation of the 1952 children's book. As of November 2006, he voiced "Sunny Bridges," a prize-winning musician who gives up touring to teach at his alma mater, in Class of 3000, an animated series he produced on Cartoon Network. He has also worked with Esthero on a promotional version of "Jungle Book" which was on a Wikked lil' grrrls sampler, but never made it to the actual album due to issues with Esthero's label, Warner Bros.. The following year, he appeared in the basketball comedy Semi-Pro, with Woody Harrelson and Will Ferrell. He also starred in the 2008 film Battle in Seattle, a film about the 1999 Seattle World Trade Organization protests. Benjamin was a member of Quentin Tarantino and Lawrence Bender's production company A Band Apart until its close in 2006; he then formed his own company, Moxie Turtle. Big Boi appeared on Nick Cannon's Wild 'n Out Season 3 as one of the many guest stars, as well as guest starring and appearing as a musical guest on Chappelle's Show performing his song "The Rooster". He is currently reaching more into acting, having appeared in T.I. 's film ATL, OutKast's film Idlewild and starring in Who's Your Caddy?. He appeared in the Law & Order: Special Victims Unit episode "Wildlife", which aired November 18, 2008. Big Boi played hip-hop artist "Got$ Money". In April 1999, OutKast and LaFace Records were sued by Rosa Parks over Aquemini's most successful radio single, which bears Parks' name as its title. The lawsuit alleged that the song misappropriates Parks' name, and it objected to the song's obscenities. The song's lyrics are virtually unrelated to Parks, except for a reference in the chorus: "Ah ha, hush that fuss / Everybody move to the back of the bus". The song, which OutKast maintained was intended partly as homage, refers to Parks metaphorically: the purpose of the song's chorus is to imply that OutKast is overturning hip hop's old order, that people should make way for a new style and sound. In the initial suit, the District Court for the Eastern District of Michigan at Ann Arbor granted summary judgment for OutKast. However, later on appeal, the issue of whether OutKast violated the Lanham Act for false advertising was reversed and remanded for further proceedings. This was based on the Court's determination that the title "Rosa Parks" had little artistic relevance, whether symbolic or metaphorical, to Rosa Parks the person. Parks' representation hired lawyer Johnnie Cochran to appeal the decision in 2001, but the appeal was denied on First Amendment grounds. In 2003, the Supreme Court turned down an appeal to overrule the lower court's decision. The judge ruled that the song was an "expressive work" and that it was protected by the 1st amendment. The judge stated that there was a definite linkage between the song and Rosa Parks. In December 2003, André told UK journalist Angus Batey that, following a Detroit concert in the midst of the legal battle, relatives of Parks had approached him and implied that the case was less to do with Parks than with the lawyers. In April 2005, the judge in the case appointed an impartial representative for Parks after her family expressed concerns that her caretakers and her lawyers were pursuing the case based on their own financial interest. Later that same year, the members of OutKast were dropped as co-defendants, and Parks' lawyers continued to seek action against LaFace and parent company BMG. ^ Erlewine, Stephen Thomas (2003). "Speakerboxxx/The Love Below". Allmusic. Retrieved April 20, 2008. ^ "OutKast propels hip-hop to new heights". CNN.com. April 15, 2004. Retrieved April 19, 2008. ^ Coachella 2014 Lineup. Stereogum (January 8, 2014). Retrieved on 2014-05-28. ^ a b c Guzman, Isaac (October 22, 2000). "Melody Makers of Hip-Hop". Los Angeles Times. Eddy Hartenstein. Retrieved January 20, 2012. ^ "OutKast Biography". Encyclopedia of World Biography. 2006. Retrieved April 20, 2008. ^ "Outkast". Black Diaspora. New York. 18: 25. 1997. ^ Nickson (2004), p. 46. ^ Huey, Steve. "Aquemini – OutKast". AllMusic. Rovi Corporation. Retrieved December 21, 2012. ^ a b Pauley, Jared (January 13, 2015). "OutKast". Oxford Music Online. ^ Huey, Steve. "ATLiens – OutKast". AllMusic. Rovi Corporation. Retrieved July 10, 2012. ^ "Pearl Jam's 'No Code' to Top Albums Chart". San Jose Mercury News. MediaNews Group. September 7, 1996. Retrieved March 5, 2011. ^ "The Charts – 'ATLiens' Landing". Los Angeles Times. Eddy Hartenstein. September 15, 1996. Retrieved March 5, 2011. ^ "OutKast Album & Song Chart History – Hot 100". Billboard. Prometheus Global Media. Retrieved March 5, 2011. ^ (September 18, 2005). Polly Vernon talks to Andre 3000. Retrieved April 12, 2008. ^ Cowie, Del F.. (May 27, 1975) OutKast – Brothers From Another Planet – On the Cover. Exclaim.ca. Retrieved on 2014-05-28. ^ Staff Lists: The Top 500 Tracks of the 2000s: 20-1 | Features. Pitchfork (August 21, 2009). Retrieved on 2012-04-09. ^ a b Mitchell, Gail. Outkast's 'Idlewild' Bumped To Next Year. Billboard. Retrieved on May 10, 2010. ^ Hasty, Katie. Danity Kane Sidesteps OutKast To Claim No. 1. Billboard. Retrieved on May 10, 2010. ^ R&B/Hip-Hop Albums – Week of September 09, 2006. Billboard. Retrieved on May 10, 2010. ^ Rap Albums – Week of September 09, 2006. Billboard. Retrieved on May 10, 2010. ^ Digital Albums – Week of September 09, 2006. Billboard. Retrieved on May 10, 2010. ^ Hasty, Katie. Dylan Earns First No. 1 Album Since 1976. Billboard. Retrieved on May 10, 2010. ^ Chart History: OutKast – Billboard 200. Billboard. Retrieved on May 10, 2010. ^ Top 40 Official UK Albums Archive – 2nd September 2006. The Official UK Charts Company. Retrieved on May 10, 2010. ^ Top 40 Official UK Albums Archive – 9th September 2006. The Official UK Charts Company. Retrieved on May 10, 2010. ^ Album Performance: Idlewild. acharts. Retrieved on May 10, 2010. ^ Billboard Albums: Idlewild. Allmusic. Retrieved on May 10, 2010. ^ Gold & Platinum – Searchable Database: Idlewild. Recording Industry Association of America. Retrieved on May 9, 2010. ^ Search Certification Database: Idlewild. Canadian Recording Industry Association. Retrieved on May 10, 2010. ^ Big Boi: Boy O Boi!. Bluesandsoul.com. Retrieved on May 28, 2014. ^ Sir Lucious Left Foot: The Son of Chico Dusty (2010): Reviews. Metacritic. Retrieved on July 5, 2010. ^ Dietz, Jason. July's Best New Music. Metacritic. Retrieved on July 29, 2010. ^ Harvilla, Rob. Big Boi Is Not Too Artsy. The Village Voice. Retrieved on July 6, 2010. ^ Midnight, Kid (July 12, 2010). Big Boi names his next solo album Daddy Fat Sax in honor of the great service he received at White Castle. Tiny Mix Tapes. Retrieved on September 4, 2010. ^  Archived March 1, 2009, at the Wayback Machine. ^ Outkast, Ciara Headed for L.A. Reid's Epic Records, Sources Say. Billboard.biz (September 15, 2011). Retrieved on 2012-04-09. ^ Outkast Reunion Confirmed By Rico Wade. Vibe (January 3, 2014). Retrieved on 2014-05-28. ^ Muhammad, Latifah. "Big Boi: No New Outkast Album | News". BET. Retrieved July 11, 2014. ^ Outkast Announce Tour of Over 40 Festivals. Billboard (January 13, 2014). Retrieved on 2014-05-28. ^ Doe, John (September 11, 2016). "Outkast, Goodie Mob, and Dungeon Family reunion". Hotnewhiphop. Retrieved September 11, 2016. ^ a b Swihart, Stanton. "Southernplayalisticadillacmuzik – OutKast". Allmusic. Rovi Corporation. Retrieved November 20, 2012. ^ Hunt, Dennis (June 26, 1994). "Record Rack". Los Angeles Times. Los Angeles: Tribune Company. Retrieved November 20, 2012. ^ Huey, Steve. "Aquemini – OutKast". AllMusic. All Media Network. Retrieved September 13, 2013. ^ Erlewine, Stephen Thomas. "Speakerboxxx/The Love Below - OutKast". AllMusic. Retrieved July 1, 2015. ^ Austerlitz, Saul. "Records: OutKast's Aquemini". Yale Herald. Retrieved May 10, 2014. ^ Herrington, Chris (October 14, 1998). "OutKast: Aquemini". City Pages. Voice Media Group. Retrieved May 10, 2014. ^ Baker, Soren (September 27, 1998). "OutKast "Aquemini" LaFace/Arista". Los Angeles Times. Tribune Company. Retrieved September 13, 2013. ^ Abramovich, Alex (December 14, 2001). "OutKast, the rappers who evolved.". Slate. Retrieved February 16, 2016. ^ Archived August 25, 2011, at the Wayback Machine. ^ New Music: Ciara f/ André 3000 & Bei Maejor – ‘Ride (Remix)’. Rap-Up.com. Retrieved on May 12, 2013. ^ Ke$ha f. Andre3000 – Sleazy Rmx | New Hip Hop Music & All The New Rap Songs 2011. HipHop DX (January 14, 2011). Retrieved on 2013-05-12. ^ Andre 3000 Clears Up Rumors About 'OutKast Collaboration' (Exclusive) |. Spin.com (January 15, 2013). Retrieved on 2013-05-29. ^ Phantogram Talks New Album, Future Big Boi Collaborations. Variancemagazine.com (February 3, 2014). Retrieved on 2014-05-28. ^ King, Aliya (April 17, 1999). "Rosa Parks Sues OutKast". Billboard – The International Newsweekly of Music, Video and Home Entertainment. 108 (4): 6. ^ The Sunday Times. Timesonline.co.uk. Retrieved on May 12, 2013.